CultureMap recently launched the Dallas Charity Guide, in partnership with Frost's Opt for Optimism campaign, to create a one-stop resource for locals looking for ways to give back. For the rest of the year, CultureMap will create curated roundups and tell stories showcasing the insightful and innovative ways local charities are shaping our community. First, we take a comprehensive look at Dallas-Fort Worth children's charities: the groups, nonprofits, and organizations dedicated to enhancing the lives of kids and their families throughout North Texas. Get involved: Those wishing to volunteer can fill out the registration form here. For information on becoming an in-kind sponsor of Ally's Wish, email info@allyswish.org or fill out the information form here. Donations are always accepted, and you can do so here. Major fundraiser: This gala evening includes a cocktail hour, a seated dinner buffet, and live country-Western entertainment, with all funds raised benefiting Ally's Wish. Get involved: Volunteers are always welcome, and are encouraged to fill out a volunteer form to help match their skills with their local chapter's needs. Major fundraiser: The Dallas Gala is an incredible event, featuring a gourmet dinner, live and silent auctions, and a private concert, all to help support Best Buddies endeavors in Texas. Mission: For more than a century, Big Brothers Big Sisters of America has provided children facing adversity with strong and enduring, professionally supported, one-to-one mentoring relationships that change their lives for the better, forever. Affiliates adhere to nationally adopted standards for child safety, training, match support, governance, and branding as well as best practices. In-depth child safety workshops provide affiliate staff with the knowledge and tools to put child safety first. Get involved: Being a Big Brother or Big Sister is one of the most enjoyable and fulfilling things you'll ever do — and it's actually a lot of fun. You and your Little can share the kinds of activities you already like to do. While girls and boys across the country are waiting to be matched, there are thousands of boys in particular who are ready and waiting to be matched with Big Brothers right now. You can also make a donation to help fund the careful one-to-one matching and ongoing professional mentoring support unique to Big Brothers Big Sisters. Your gift will help match a child with an adult mentor. Head here to get involved. Membership: For a few hours, a couple times a month, you can give a Little the invaluable gift of your friendship. Play a board game, make fun crafts, hit the playground together — just as your options are unlimited, so is your Little's potential. To start the process of becoming a Big, click here. Major fundraiser: Bowl For Kids’ Sake is Big Brothers Big Sisters’ signature fundraiser. Each year, half a million people across America come together to have fun and raise money to support Big Brothers Big Sisters. No bowling expertise is required, only the willingness to share in the heartfelt and sincere thanks for helping the group transform your community. Mission: BraveLove is a pro-adoption movement dedicated to changing the perception of adoption by acknowledging birth moms for their brave decision. 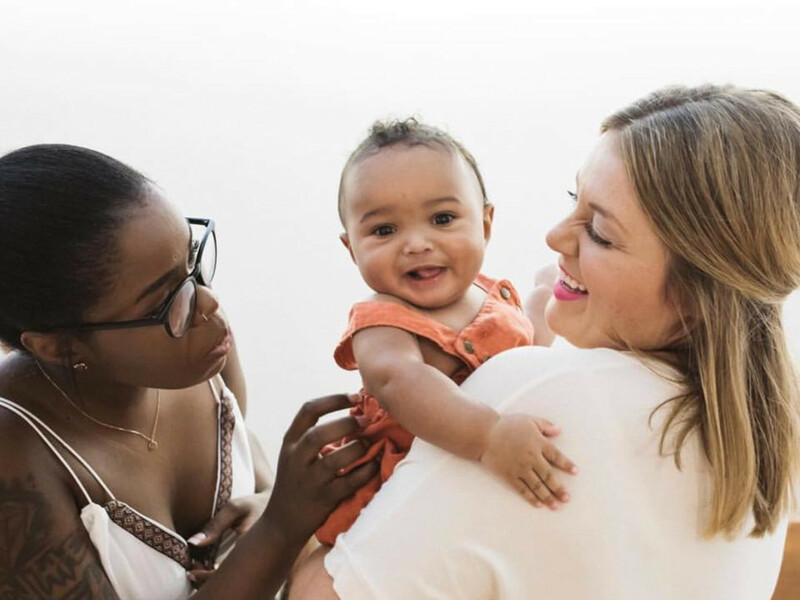 Through honest, informative, and hopeful communication, the group conveys the heroism and bravery a birth mother displays when she places her child with a loving family through adoption. Get involved: BraveLove is always looking for help connecting with local community organizations like pregnancy resource centers, women's health clinics, birth parent support groups, adoption agencies, adoption attorneys, and more, as they partner with those who serve women in unplanned pregnancies and then equip them with their resources. To begin the process of finding a volunteer position with BraveLove, head here to fill out their volunteer form. Membership: Becoming a BraveLove member is an opportunity for professionals to gain access to relevant resources that empower people to rethink adoption as a brave and loving option. BraveLove members receive access to high-quality adoption resources for clients, training materials for professionals, digital marketing collateral, and much more. For more information and to join, head here. Mission: Bryan's House provides underserved children in North Texas with specialized medical, educational, and therapeutic care, and holistic support services for families to thrive. Bryan's House serves over 1,200 people a year through medically-managed childcare, family support services, weekend and summer childcare, and other special programs. Get involved: Bryan's House depends on the community for funding, and a direct gift helps to make their programs and services possible. Mission: The mission of the C5 Youth Foundation of Texas is to change the odds for high-potential youth, inspiring them to pursue personal success and preparing them for leadership roles in college, work, and their communities. C5 engages middle and high school students from under-resourced communities in five years of intensive leadership experiences, including year-round leadership development programs, signature summer activities, community action, and preparation for continuing education and career development. Get involved: Volunteer opportunities with C5 range from participating in community service with C5 youth to assisting with administrative duties to reviewing applications to interviewing potential C5 Texas youth. Policies for screening and training volunteers are based on the nature of volunteer’s contact with C5 youth and the extent to which they are supervised by C5 Texas staff while with the youth. Minimum age requirements for volunteers may apply based on the opportunity. Get involved: There are various ways to become involved with the Children's Cancer Fund, from volunteering to joining the CCF volunteer committee or CCF board of directors and advisory board. Major fundraiser: The Children’s Cancer Fund Gala is the organization's signature event, an annual fundraiser for pediatric oncology research. The event features a dinner, auction, and program along with musical entertainment and dancing. A fashion show presented by Dillard’s and produced by RSC Show Productions features children who are undergoing treatment for cancer at Children’s Medical Center of Dallas as models. They are escorted down the runway by sponsors and celebrity guests. Mission: Community Partners of Dallas ensures safety, restores dignity, and inspires hope for the abused and neglected children served by Dallas County Child Protective Services. Community Partners of Dallas serves more than 20,000 children annually through four unique programs: The Rainbow Room, an emergency resource center providing critically-needed items for children in the care of CPS; Kids in Crisis, which provides funds for children's clothing, transportation, therapy, enrichment activities, housing, and medical expenses; Caseworker appreciation events that are held to show appreciation and gratitude to caseworkers; and Storyline, a phone line that children can call 24 hours a day to hear a story. Get involved: Community Partners of Dallas offers a variety of volunteer opportunities for individuals, families, and groups, from one-time events to regularly scheduled volunteer hours. Major fundraiser: Community Partners of Dallas' annual signature event, Chick Lit Luncheon, features a wine reception followed by a seated luncheon and remarks from a celebertity guest. Past speakers have included Bethenny Frankel, Tim Gunn, and Katie Holmes. Mission: Since 1952, the sole purpose of The Crystal Charity Ball has been to aid, support, and make contributions to children's charities in Dallas County. As a nonprofit organization, independent of any national affiliation, members of The Crystal Charity Ball Committee have raised more than $143 million for more than 140 worthy beneficiaries over the past 65 years. To see the full list of beneficiaries, click here. Get involved: You can help support the beneficiaries by making an underwriting gift, purchasing a children's book page, donating to the silent auction and special gifts, purchasing contribution tickets, or attending the Ten Best Dressed Luncheon. Fore more information on how to get involved, click here. 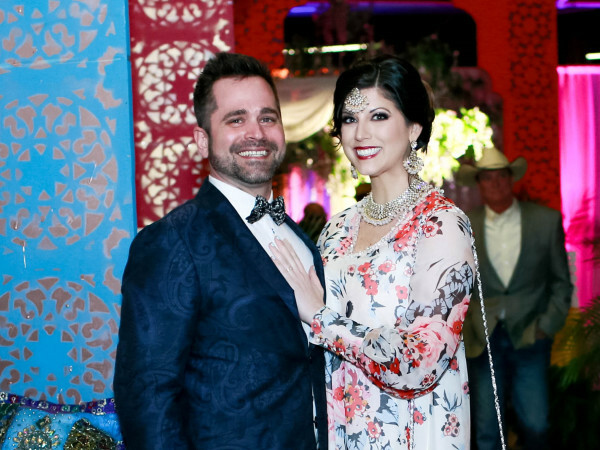 Major fundraiser: The Crystal Charity Ball is known as the "cap" to Dallas' yearly society season, but the Ten Best Dressed Luncheon is another big event in the fall. Mission: Judges appoint Dallas CASA volunteers to advocate for the best interests of abused and neglected children, helping these children gain safe, permanent homes as quickly as possible. Dallas CASA exists so that abused and neglected children in protective care have the chance to become successful adults. More than 1,300 volunteers serve more than 3,100 children annually in Dallas County. Membership: CASA volunteers are a source of hope and support for child victims as they wait for the courts to decide where they may safely live. Advocates help children access the services they need to heal from their abuse, and the information and recommendations CASA volunteers provide help to expedite the court process and provide better outcomes for children under the state's protection. CASA volunteers undergo 30 hours of initial training and 12 hours of continuing education each year. Each volunteer advocate works with a CASA staff supervisor, who provides guidance throughout the court process. To learn more about becoming a CASA volunteer, head here to find an upcoming information session. Major fundraiser: At their annual Champion of Children Award Dinner, Dallas CASA presents the prestigious Judge Barefoot Sanders Champion of Children Award to recognize community leaders who significantly improve the lives of children in the community, particularly those whose young lives have been marked by abuse, neglect, or other adversity. Get involved: Dallas CASA's Voices of Hope giving society recognizes individual donors who make annual gifts of $1,000 or more and corporate, foundation, and organization donors who make annual gifts of $5,000 or more to Dallas CASA, through one-time or recurring gifts. The hope is that this society will help Dallas CASA sustain their ability to serve every abused child who needs them, year after year. Member benefits include recognition in the Dallas CASA annual report, invitations to register early for Dallas CASA educational opportunities with limited seating, and invitations to special annual donor briefings and informal receptions at Dallas CASA. Mission: The mission of Dallas Children's Advocacy Center (DCAC) is to improve the lives of abused children in Dallas County and to offer national leadership on child abuse issues. DCAC opened its doors on January 14, 1991, and served 725 alleged child abuse victims from its first location, a renovated, three-story Victorian home on historic Swiss Avenue. In January 2013, DCAC moved to a state-of-the-art, 56,000-square-foot facility following an $11 million capital campaign. Their services and programs include forensic services, therapy, family assistance, and education. Get involved: DCAC offers countless volunteer opportunities, from playing with children in the DCAC waiting rooms to organizing their clothes closet to working in the DCAC garden. For a complete list, head here. Major fundraiser: Hosted at Dallas Gun Club, Aim for Advocacy raises over $150,000 each year in support of Dallas Children’s Advocacy Center. Along with competing in a friendly and challenging 13-station clay-shooting tournament, sponsors and their teams also enjoy a catered lunch, a raffle of luxury recreational items, and a live auction of once-in-a-lifetime experience packages for fishers and hunters. Mission: Education Opens Doors and its student manual Roadmap to Success evolved from the passion and efforts of several Teach for America alumni and education pioneers. Roadmap to Succeess is the hands-on evidence of the mission of Education Opens Doors: empowering students to strategically navigate through high school to college. It is every middle and high school student's dream come true: a step-by-step guide full of checklists and resources to get them where they want to go after they graduate. Today, Education Opens Doors is implementing the Roadmap to Success Program in 175 classrooms across the Dallas area. Teachers are utilizing the student handbook to give middle and high school students a chance at success, by giving them a guide to help them be intentional about where they want to go next and strategically navigate their way to college. Get involved: Education Opens Doors offers a number of volunteer opportunities, including assisting with fundraising campaigns and helping with special events. For more information on how to get involved, email info@educationopensdoors.org. Get involved: Gathering your friends, family, or colleagues and hosting a supply drive for Gill Children's Services is one way to get involved with their mission. While most of their clients need services, many still needed goods like diapers, strollers, and toothbrushes. Contact the Gill Children's Services office for more information about holding a supply drive. Additonally, Gill's Children's Services is always looking for advocates to help spread the word about their work. There are several ways to do so, including requesting brochures and applications to keep at your school, nonprofit, or medical/dental office, and inviting them to speak at your company or social club. Mission: Family Gateway provides stability and life-changing supportive services to children and families affected by homelessness. Founded by Mayor Annette G. Strauss in 1986, the organization has been named as the point of entry (triage point) for Dallas County families with children who are experiencing or are near homelessness. Get involved: There are a variety of opportunities to get involved and make a difference in the lives of children and families affected by homelessness. Here you can learn more about volunteer opportunities, corporate engagement, and how to donate. Major fundraiser: Family Gateway hosts many special events, such as Boo Bash, Homelessness Awareness Month, Day to Play, and the Gateway to Opportunity Luncheon. Click here to learn more. Mission: Girls Inc. delivers life-changing programs and experiences that equip girls to overcome serious barriers to grow up strong, smart, and bold. Get involved: There are a wide range of short and long-term volunteer opportunities for individuals and groups. Some ways to get involved are serving as a mentor, tutor, activity assistant, workshop assistant, college/career speaker, receptionist/administrative support, decorator, or translator. Go here to learn more about volunteering. Membership: The young professionals group (YPG) is made up of like-minded professionals in their 20s and 30s that support Girls Inc. through four-six volunteering, networking, and social opportunities each year. Memberships are $250 for an individual, and can be obtained by contacting Tori Correll at tcorrell@girlsincdallas.org or 214-654-4559. Get involved: You can host a blanket drive to supply a hospital in your area or mail new baby blankets of any size for Grace Blankets to disperse and donate to the hospitals it serves. Major fundraiser: Everys summer, Grace Blanket hosts drives to accumulate new blanket donations for the upcoming year's hospital deliveries. Get involved: Junior Players' Starlight Circle is a core group of supporters that work together to promote Junior Players to the broader North Texas community. The minimum giving level to join is an annual commitment of $500. Membership benefits include unlimited tickets to the Junior Players summer Shakespeare production and winter musical production (with preferred seating), name recognition in all Junior Players production programs, an exclusive yearly celebration for members, and more. Mission: KidLinks connects kids to health and healing through music and media. Over the decades, KidLinks has made therapeutic music entetainment (defined as a musical performance or activity which by virtue of its diversion, amusement, and/or engaging qualities promotes healing) possible at hundreds of hospitals and special care centers, bringing a bit of hope and fun wherever they have gone. The have also made possible individualized music therapy for children in need. Get involved: Contributions enable KidLinks to expand into more hospitals and introduce families around the world to the positive, proven benefits of music. Major fundraiser: Symphony of Chefs is an intimate fundraiser held each February. The evening includes hors d'oeuvre from local rising star chefs, followed by a seated four-course dinner prepared tableside by featured top chefs and a decadent dessert reception crafted by pastry chefs. Additional highlights include wine and cocktail pairings, live music, and a live auction. The annual KidLinks Energy Golf Classic provides companies with a way to make a difference in little lives everywhere, as well as a direct avenue for generating positive community awareness about the independent energy industry. This event is also one of the most effective energy-specific networking opportunities of the year. Get involved: More than 3 million volunteers enable the March of Dimes to achieve its goals. Every year, these leaders march more than 5 million miles, speak to tens of thousands of people about the mission, and help raise millions of dollars. From the very earliest days, volunteers have been full partners in the March of Dimes, working to raise funds, heighten awareness, and implement critical programs to help support our mission. Major fundraiser: The biggest event that the Dallas chapter of March of Dimes holds is the March for Babies in April. For more information on events in Dallas, click here. Mission: New Friends New Life restores and empowers formerly trafficked teen girls and sexually exploited women and their children. By providing access to education, job training, interim financial assistance, mental health, and spiritual support, New Friends New Life helps women and their children overcome backgrounds of abuse, addiction, poverty, and limited opportunities. Get involved: Volunteers are placed where they are most passionate and gifted to aid the women and families in the program. Donations are also greatly appreciated. Major fundraiser: New Friends New Life hosts the annual 20th Anniversary Luncheon this fall. Get involved: Monetary donations, in-kind and auction item donations, third-party fundrasiers, and sponsored events are all welcome and greatly appreciated. Head here to learn more. Mission: The mission of Rainbow Days is to help children and youth in adversity build coping skills and resilience to create positive futures. In 1982, founder, CEO, and developer of CBSG Program Cathey Brown began Rainbow Days as a result of trying to overcome her own addiction and realizing that there were groups offered for adults with addiction, but nowhere for children to receive support. Today, with more than 35 years of experience, Rainbow Days has expanded services to include an array of alcohol, tobacco, and other drug prevention programs, serving nearly 180,000 children in the Dallas community alone. In addition, 42,000 professionals across Dallas, the state of Texas, and the nation have been trained to implement Rainbow Days’ nationally recognized Curriculum-Based Support Groups or other accredited prevention programs with children in their own communities through the Trans4m Center. Get involved: Volunteer positions with Rainbow Days range from helping with summer camps to the annual back-to-school celebration. In order to promote safety and protect those that they serve, all potential volunteers are required to participate in a background check screening. Head here to start the sign-up process. 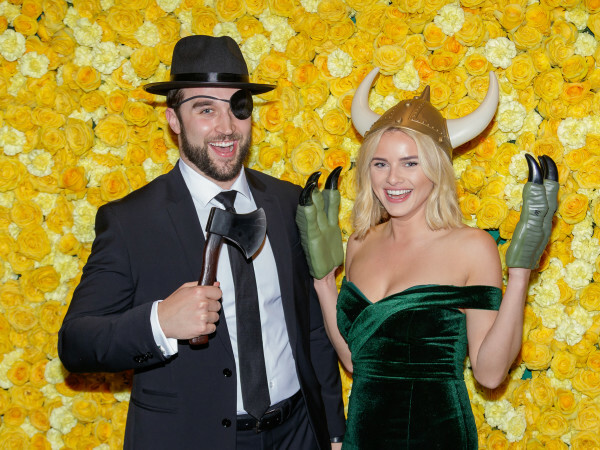 Major fundraiser: The annual Pot of Gold Luncheon, hosted by Attorneys Serving the Community and benefitting Rainbow Days, is a festive and fun event held at the Hilton Anatole. The luncheon, which each year features a keynote speaker, brings together more than 1,000 individuals and raises over $250,000 for the programs and services of Rainbow Days. Mission: Pat & Emmitt Smith Charities creates and funds unique educational experiences and enrichment opportunities for underserved children and youth of North Texas. Major fundraiser: PESC holds two annual public fundraising events: The Emmitt Smith Celebrity Invitational golf tournament and a gala that's held every May. The Friday Night Party kicks off the weekend with a celebrity reception followed by dinner, a live auction, and presentation of the Roger Staubach Award. The Invitational continues on Saturday with an 18-hole charity golf tournament at TPC Craig Ranch in McKinney. Get more details here. The public is also invited to participate in the Emmitt Smith Gran Fondo charity cycling ride held in September. The Gran Fondo courses are designed to accommodate the most avid of cyclists to the casual weekend rider. There are five routes from which to choose: a 100k, a 45-mile, a 22-mile route, the family ride, and the Gran Fondo, a 100-mile timed route with a $10,000 winner-take-all purse. Participants and their families will want to stay after the ride to enjoy a post-race party complete with a beer garden and cocktails, entertainment, family activities, and awards ceremony. For more information on the event, route information or to register, go here. Mission: When serious illness or injury strikes a child, parents shouldn’t have to worry about anything else but getting that child the care he or she needs. That’s the premise upon which Ronald McDonald House of Dallas (RMHD) was founded. The only organization that provides a home-away-from-home for families whose children are receiving treatment at local hospitals, RMHD exists solely to ease the burden, reduce stress, keep the family intact, and enhance these families’ quality of life. RMHD does that by providing a caring, home-like atmosphere in which families can stay. It offers 52 bedrooms with private baths, as well as six suites with fully equipped kitchens. The organization also provides daily home-cooked meals, transportation, laundry facilities, and activities for parents and siblings such as crafts, games, movie nights, and seasonal celebrations. And Ronald McDonald House does all of this at little or no cost to the families, so they can stay focused on what’s most important: healing their children. Get involved: Consistent individual volunteers help keep things at the RMHD running smoothly, through both daily house operations and special events. Individual volunteers must commit to volunteering at the House for at least three months There are currently three main volunteer categories that work in weekly, three-hour shifts: front desk volunteers, kitchen volunteers, and family activity volunteers. Head here to apply. Major fundraiser: Since 2006, RMHD's signature fundraising event, Under the Moonlight, has raised more than $2 million. Each year, RMDH celebrates and raises support for their services with one of the greatest parties in Dallas. 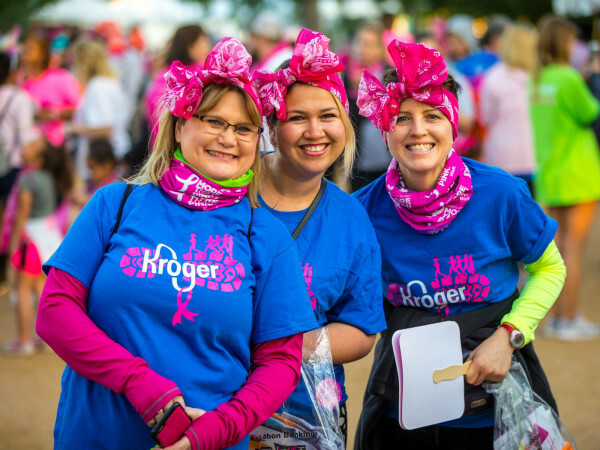 Get involved: TACA’s volunteer opportunities range from administrative support to general support to becoming an events and fundraising committee member to helping with special events. Contact the TACA volunteer coordinator for more information and current available volunteer opportunities. Mission: The Birthday Party Project (BPP) brings joy to homeless children through the magic of birthdays. With the help of its birthday enthusiasts, BPP hosts monthly birthday parties at homeless and transitional living facilities across the country. They celebrate all children (ages 1-22) that have a birthday that month, and invite all children and family members staying at the agency to join the party. The one-hour celebration is a chance for kids to dream big, and the BPP sees their parties as being much more than a celebration — they are a loud exclamation point that kids matter! Get involved: "Birthday enthusiasts" help create magical moments for the kids they celebrate by helping to set-up, decorate, light candles, hand out cupcakes, and connect with the birthday kids. To get started as a birthday enthusiast, head here. Major fundraiser: Happiness is contagious at the Birthday Party Project's annual birthday party, the signature fundraising event that celebrates bringing joy to homeless children through the magic of birthdays. This wild party is both fun and fancy, and 100 percent of ticket sales and sponsorships go directly to throwing birthday parties at partner agencies. Mission: The Elisa Project (TEP) is dedicated to the development of healthy children and adolescents by promoting the awareness and prevention of life-threatening disordered eating through education, support, and advocacy. Elisa Project clients include people living with symptoms of unhealthy relationships with food, including disordered eating, obesity, eating disorders, and more. TEP serves more than 30,000 individuals annually. Currently, about half of their clients live in the North Texas area, and more than 70 percent of their clients have monthly incomes less than $1,000. Get involved: Aside from varoious volunteer opportunities, TEP also trains ED campus ambassadors. Being an ED campus ambassador is a high-profile position on campus for the educator who is the most passionate advocate and warrior fighting against eating disorders. ED campus ambassadors are dedicated to becoming the most knowledgeable resource, and to promoting the awareness and prevention of eating disorders at their school. TEP provides ED campus ambassadors with educational tools, ongoing ED training, and social event ideas that can benefit their students, parents, faculty, administrators, and community. Major fundraiser: The Elisa Project's annual Life Lessons Luncheon raises important funds and features a highly-anticipated speaker each year. Past featured speakers have included Olympic medalist Nancy Kerrigan and actress Chrissy Metz. The inspiring afternoon includes a reception and seated luncheon. Mission: The Family Place empowers victims of family violence by providing safe housing, counseling, and skills that create independence while building community engagement and advocating for social change to stop family violence. Get involved: Volunteer opportunities with The Family Place range from behind-the-scences administrative and event planning help to working directly with clients as court parnters or at the shelter. The first step for any volunteer position is to fill out an application here. Once you have completed the application you will receive an email with orientation instructions. All volunteers are required to complete a criminal background check. Membership: Young Partners, a social and service auxiliary of The Family Place, is a group of civic-minded young professionals that provide community education and volunteer services to support The Family Place in its mission to empower victims of family violence. Major fundraiser: The annual Texas Trailblazer Awards Luncheon is a premier educational event which generally comprises 1,000-plus community leaders, business leaders, corporate sponsors, philanthropists, media, "who's who" of Dallas, table hosts, and accomplished men and women in the North Texas community. Mission: The Warren Center advocates, serves, and empowers the children and families impacted by developmental delays and disabilities. Fifty years ago, very few resources existed for parents of disabled children in Dallas County. With nowhere to turn for community-based services or help, families lacked support and their children had limited options in life. The Warren Center was created in 1968 and for decades has provided much-needed resources and care to children with disabilities and their families. Grassroots efforts and proven successes paved the way for an increase in community and parental awareness. As the organization experienced growth, it began adapting the programs to meet the changing needs of families. Over the years, The Warren Center has given parents access to the resources their children needed, and more importantly, hope and support. Get involved: Volunteer opportunities at the Warren Center range from helping to keep the facilities in shape to volunteering at events to helping create thank-you artwork: framed finger paintings created by children at the Warren Center. Major fundraiser: The Warren Center's annual Art of Music Gala is a unique experience that takes each year’s theme and creates a magical time for all attending. Renowned musicians compose original scores and then pass them to artists who use it as inspiration to create one-of-a-kind works of art. The result is a black-tie optional night of celebration and performance, as each original composition and its inspired work of art is performed and unveiled for the first time. Mission: This mission of Youth With Faces is to give youth in the juvenile justice system the skills needed to break the cycle of incarceration and create positive futures. They believe in the potential of these youth and give them the opportunity to learn and practice critical social, job, and life skills. These are essential to their success when returning to their families and communities. First launched in 2001 to provide materials and meals to the youth in Dallas County’s Youth Village, Youth with Faces began expanding its scope to include rehabilitation programs in 2008. Today, they have expanded to serve the residents of both Medlock Residential Treatment Center and Letot Girls’ Residential Treatment Center, and impact the lives of approximately 200 youth annually. Get involved: Youth With Faces offers many opportunities for individual volunteers and groups, including working with their youth (which includes assisting with career classes, conducting mock interviews, and participating in the speakers program) and other support such as helping organize and beautify Youth With Faces spaces and holding a clothing drive. Major fundraiser: Five of Dallas’ finest chefs prepare a multi-course farm-to-table meal paired with select wines at Youth With Faces' annual fundraising dinner Field & Vine.